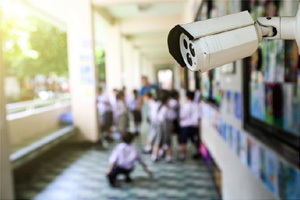 Over the last decade security has become a necessity not only for large university and community college campuses but also for elementary, middle and high schools as well. The active, open environment of educational facilities makes them targets for violence, vandalism, theft and even active shooter incidents. Campuses have had to look totechnology to help them protect students, staff and resources. We have worked with major school districts in Northern California including Berkeley Unified School District, Antioch USD, Santa Clara USD, Oakland USD, South San Francisco USD, Sequoia (San Mateo County) Union High School District, Stockton USD, Tamalpais USD, Ft. Bragg USD and Monterey Peninsula USD. Our higher education customers have included Stanford University, the University of California at Berkeley and California Maritime Academy in Vallejo, as well as community college districts such as Peralta, Ohlone, Solano and Hartnell. We’ve also done projects for the Santa Clara County and Contra Costa County offices of education, as well as for private institutions such as Holy Names University, Menlo College and Sacred Heart schools. Our experience give us a thorough understanding of the unique challenges facing superintendents, district administrators, security managers, deans, IT managers, principals, assistant principals and instructors. Our experience allows us to help assess trouble spots and work with administrators to develop customized site plans that are scalable and can be implemented with as little disruption as possible. We look for solutions that can maximize a campus’ investment in security while preserving resources. We are also aCalifornia Multiple Award Schedules (CMAS) certified supplier of security systems and services.